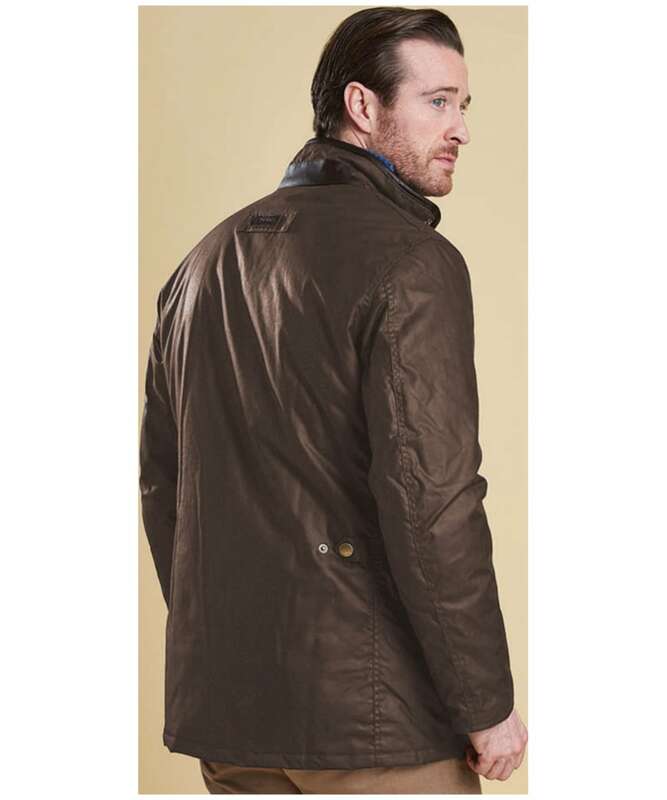 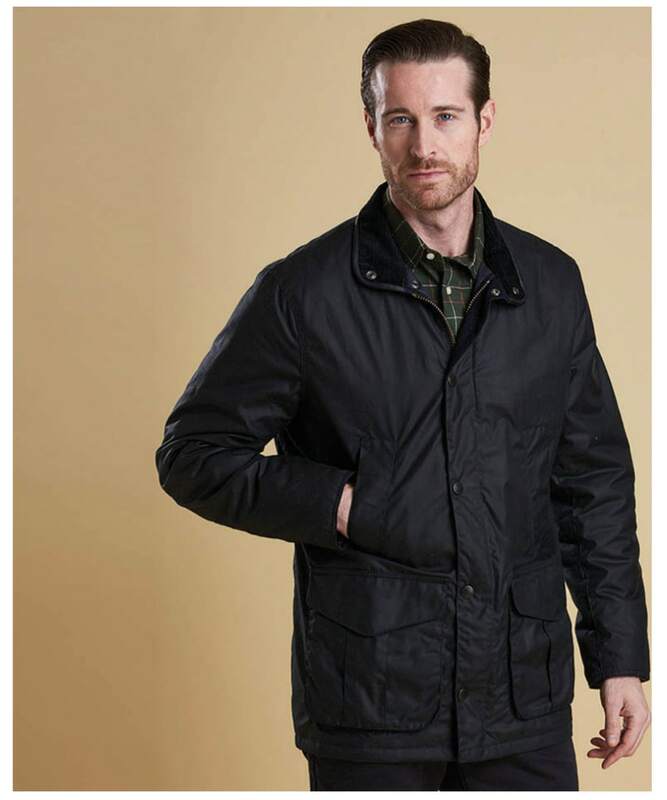 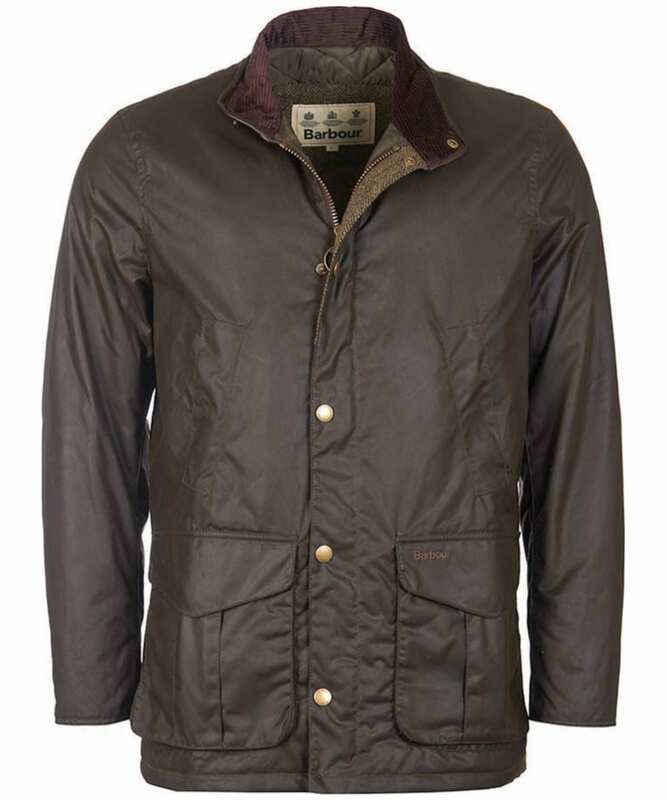 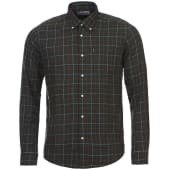 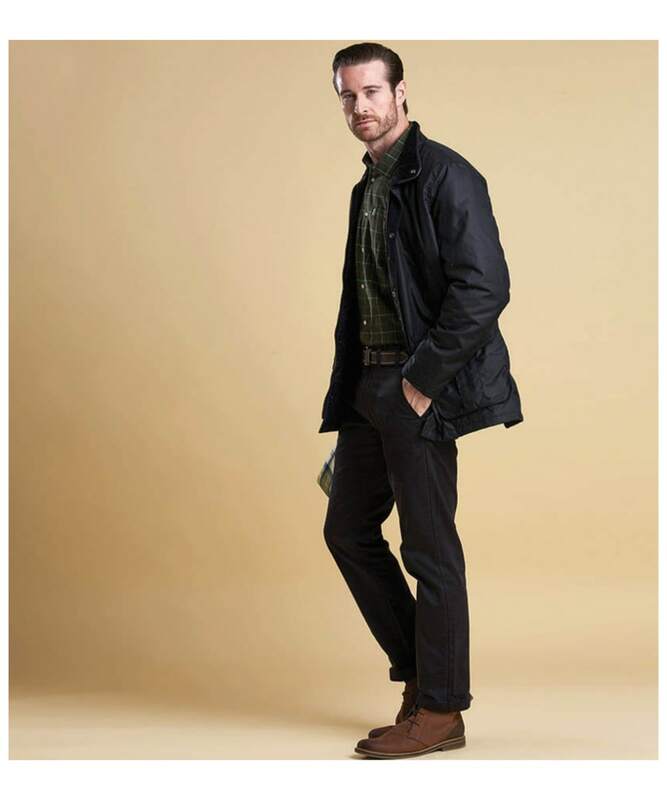 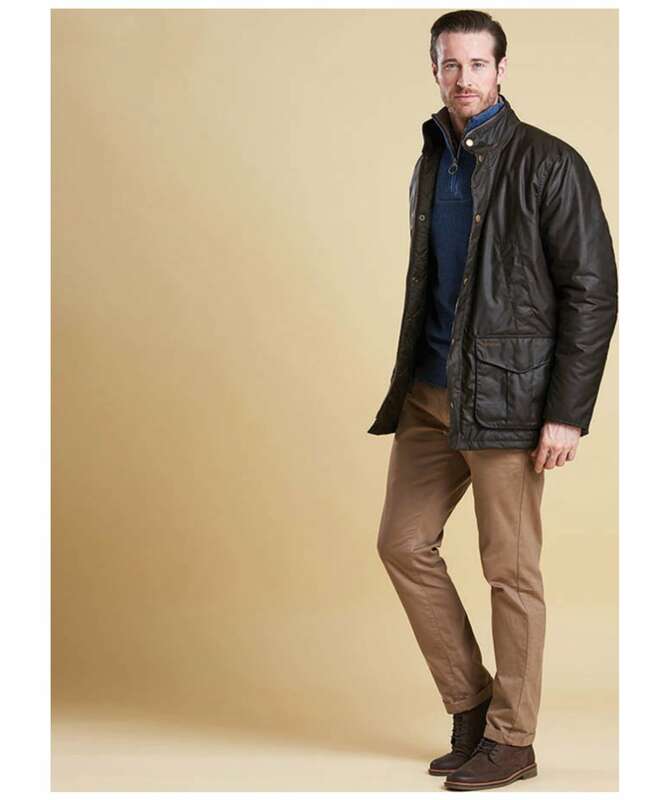 The Men's Barbour Hereford Wax Jacket is perfect for adding a touch of country styling to your look this season. 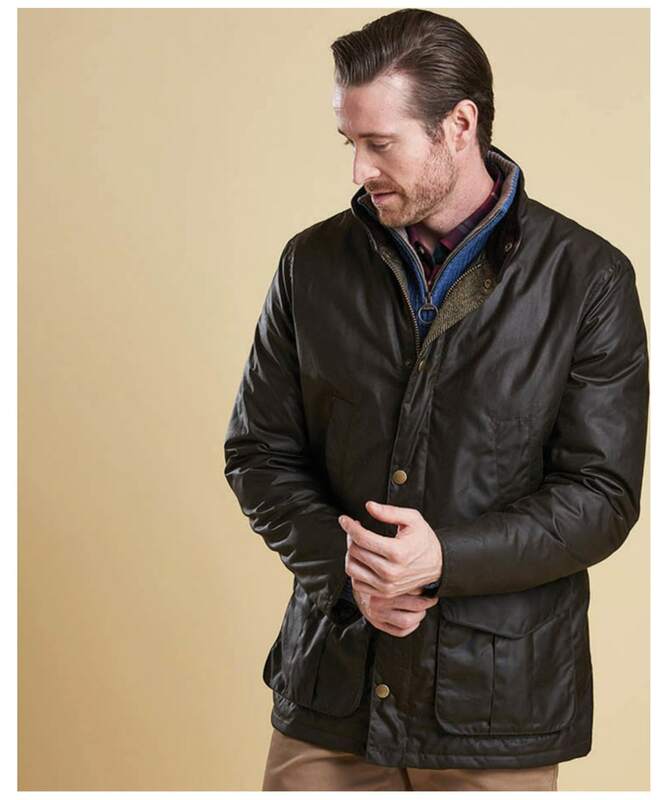 The Barbour Hereford features a Barbour waxed cotton outer, which gives you a touch of the classic Barbour styling we know and love. 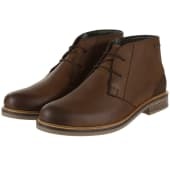 The heavy cord collar also helps to complete the classic Barbour look, while the leather trim detailing gives you a stylish twist you are sure to love. 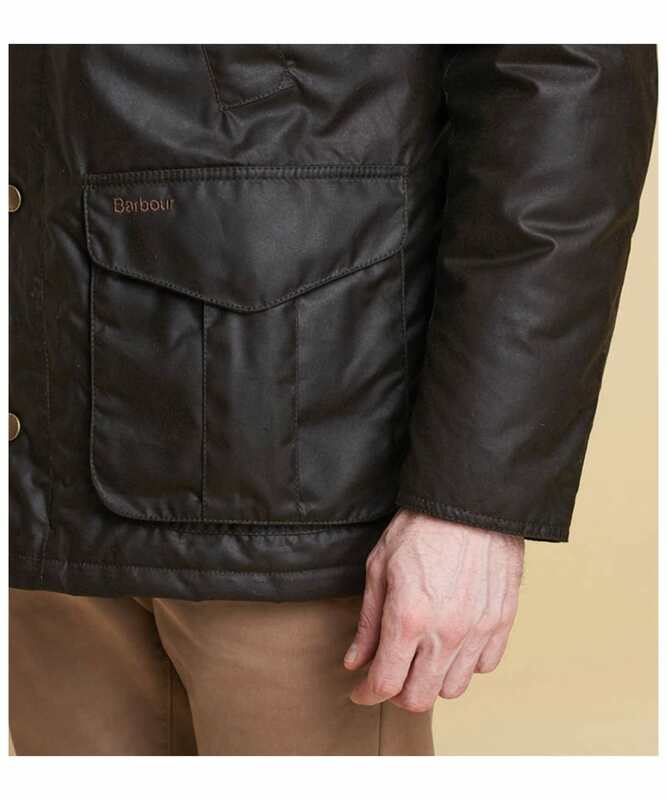 This stylish waxed jacket features the classic Barbour pocket set up with two lower patch pockets and two handwarmer pockets, the handwarmer pockets feature moleskin pocket bags for added warmth. 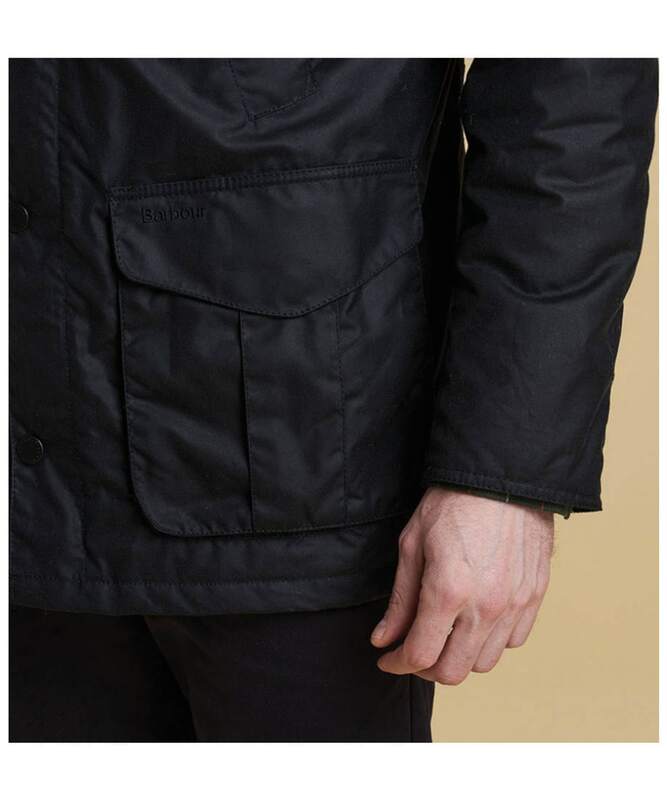 The quilted lining is also ideal for keeping you warm on those colder days and the inner zip pocket is perfect for keeping those valuables safe and close to hand. 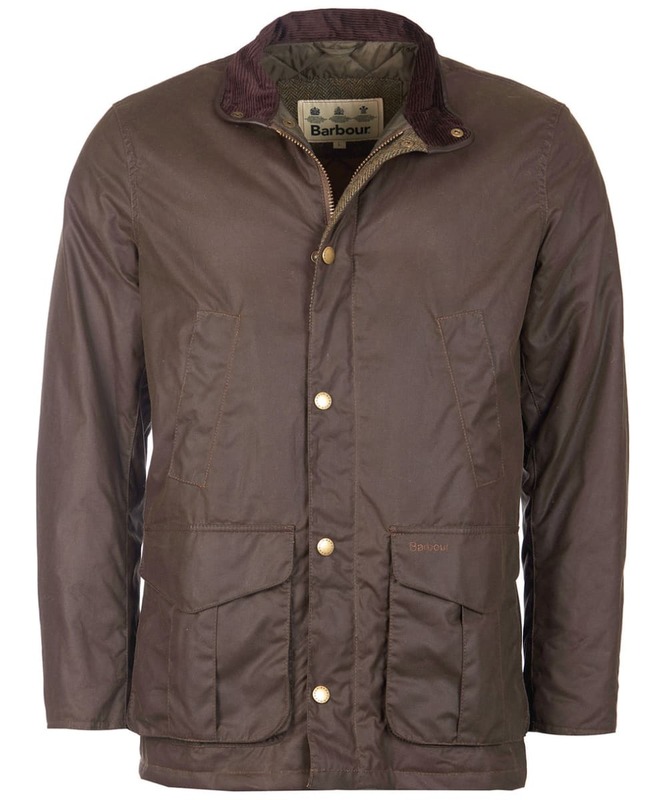 The Barbour Hereford is perfect for completing your Barbour country look this season and beyond. 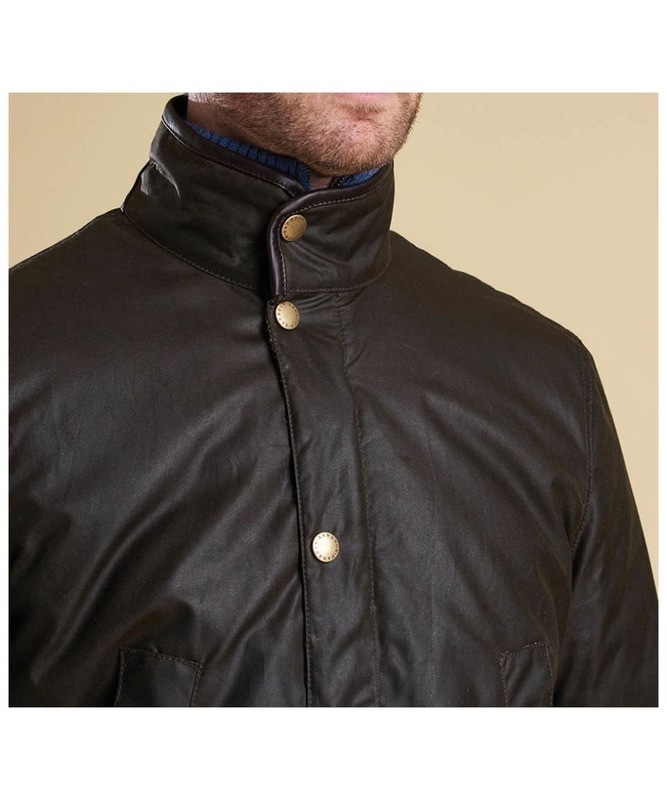 Rated 4 out of 5 by Herodotus from Pity about the zip. 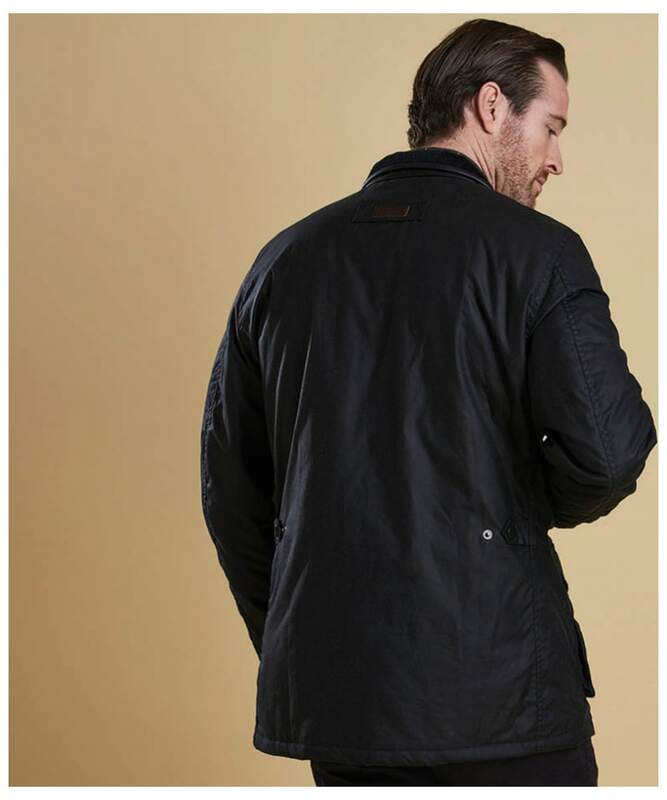 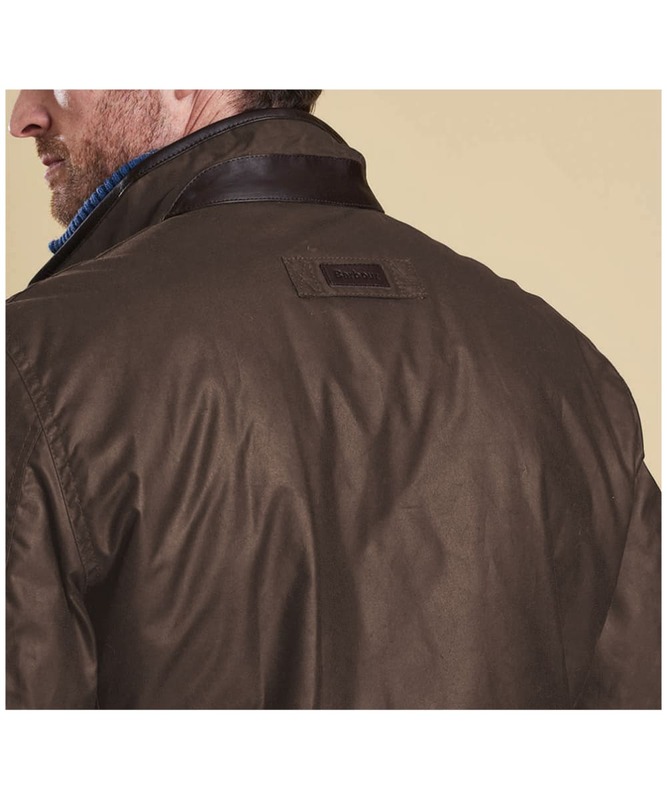 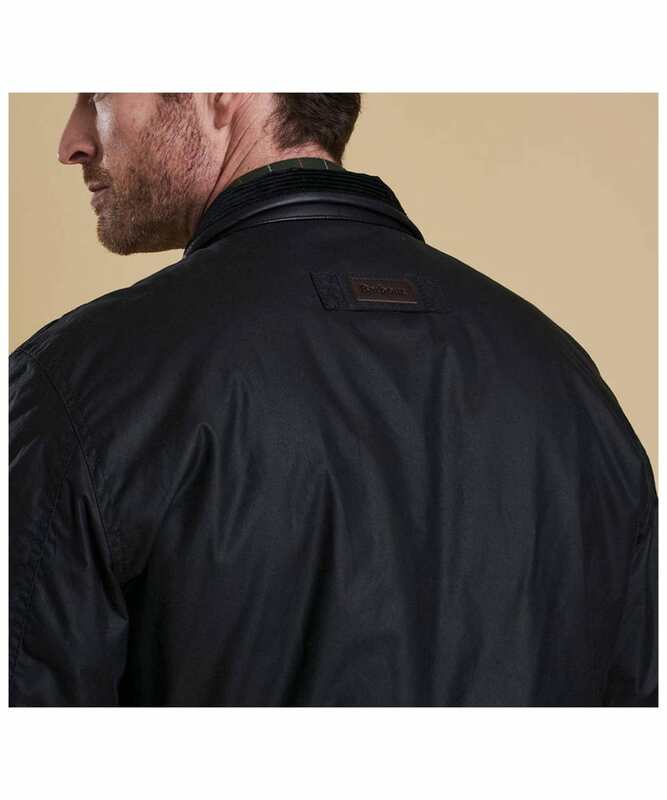 The jacket has the usual great quality, comfort and fit that one expects from Barbour garments - EXCEPT - after a few weeks of wearing the front zip has become also impossible to attach at the bottom. 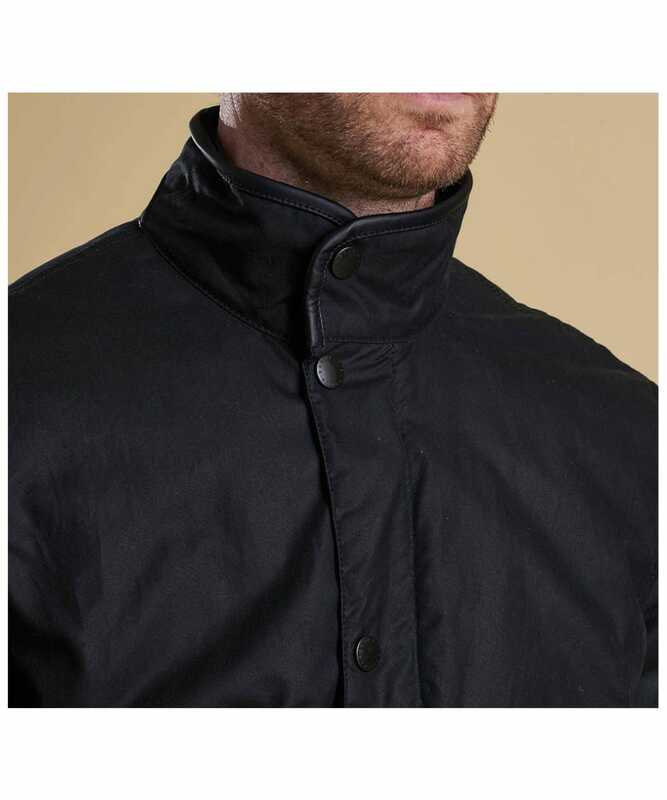 It looks as though I will have to waste time getting it seen to. 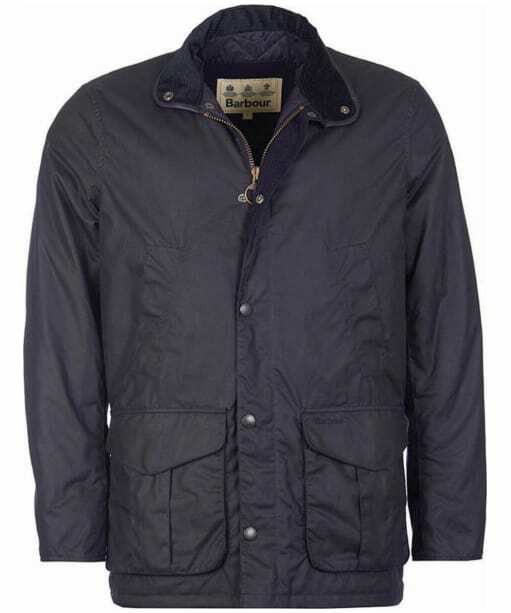 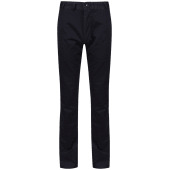 Men’s Barbour Hereford Wax Jacket - Navy is rated 4.7 out of 5 by 3.